EcoGen Pest Control is proud to specialize in residential pest control services in Las Vegas. We take pride in providing the most effective and most environmentally conscious services in the industry. We utilize state of the art technology and green products to protect your home. All of our products are approved by the Environmental Protection Agency (EPA) and the State of Nevada. Whether you have pets, children, or neither, our products and services are safe to use in and around your home. 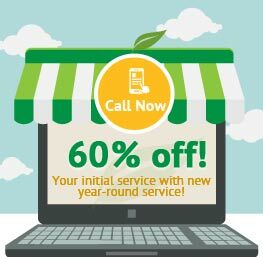 All of our service plans are tailored and specialized to meet your specific needs. Our service plans are comprehensive, and include the removal of ants, spiders, roaches, scorpions, black widows, earwigs, crickets, mice, rats and much more. After inspection, we create a customized service plan to your needs, taking into account the pest activity, rodent activity, landscape, residents in the home, and much more. Our service professionals are highly trained and skilled to thoroughly, effectively and safely provide complete control of all the pests both inside and outside of your home. Furthermore, our services professionals will knock the spider webs down on each service, thus keeping your home clean from cobweb stains and embarrassment. Residential services typically include establishing multiple pest proofing barriers around your home and property; including around the foundation of your home to keep pests out of your house, around the perimeter of your yard establishing a barrier preventing unwanted pests from entering your yard from neighboring properties. We also establish a light barrier around the inside of your home, as needed, to flush out any existing pests and protect against any encroaching inside. Pests pose serious risks to your health and property. Our skilled Service Professionals deliver a thorough solution aimed at protecting your home. Keeping them out of your home is a year round effort. For this reason we rotate products in every season of the year in order to ensure maximum effectiveness for the pests more active during that season of the year. In order to maintain your home and yard pest free, the pest proofing barriers need to be reestablished on a regular basis; typically every two or three months. 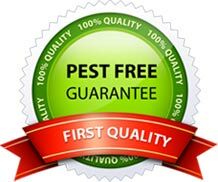 In addition to effective regular services, we provide a full guarantee where if you see any live pest activity in between the scheduled visits, simply call our office and your service professional will return to treat at no charge.